We doubt anyone who grew up with an NES will forget the epic battles they fought in the original The Legend of Zelda game. But their kids probably have no idea what it's like to fight Ganon in just two dimensions. And that's why this reminder is so important. 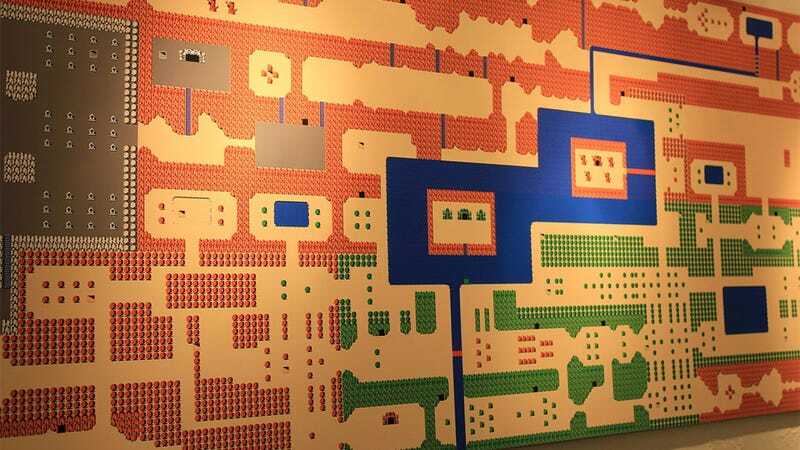 Measuring eight feet long and three feet tall, this giant mural represents the entire 8-bit land of Hyrule, including all of the towns and temples you visited during your quest. What's even more impressive is that Etsy member Packmania is selling this durable fabric print for just $40. Inch for inch that makes it one of the cheapest video game tapestries we've ever seen. Also, the only video game tapestry we've ever seen. So here's to hoping it inspires some other creations as well, because we have a lot of walls to cover.